Maybe - but not even close. Sticker Slogan Contest. All I did was re-typeset the thing and add some pop-up text and hyperlinks. Thanks go to Evelyn Kinzel at Ohio Dominican University for recognizing the not-quite Lagrangian conservation statement. 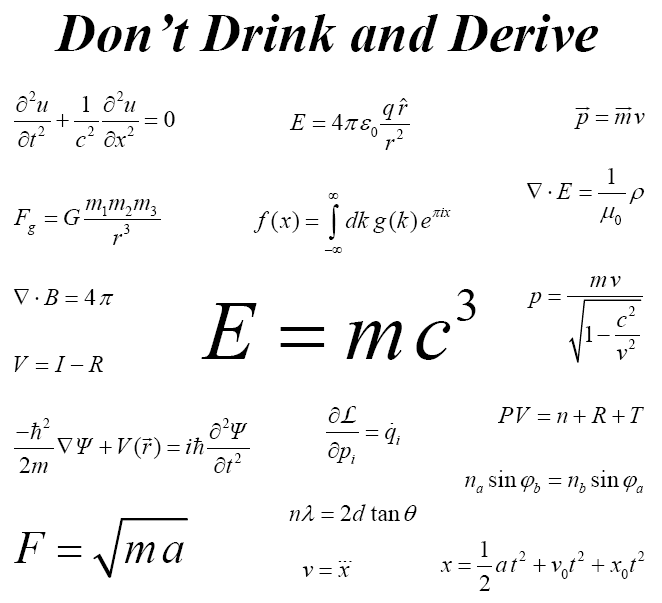 Move the mouse pointer over the equations for fun, click for enlightenment.